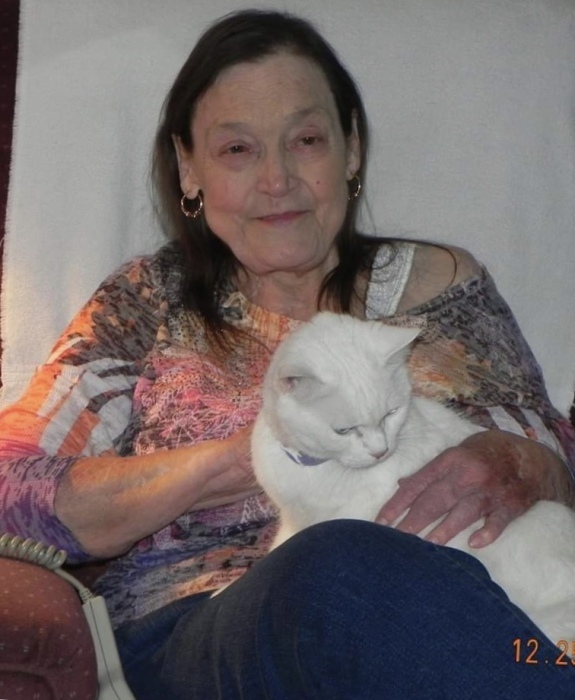 Shirley Farris, 82, of Echols, Kentucky went to her heavenly home on Thursday, April 4, 2019 under the care of Hospice of Western Kentucky. She was born July 6, 1936 in Ohio County, Kentucky to the late James F. Growbarger and Christine Pillow Galvan. Ms. Farris retired from Thomas Industries and was a member of Echols Daystar Church of God. Aside from her parents she was preceded in death by three sons, Larry Farris, Michael Farris and Stanley Farris; two grandsons, Dennis R. Farris, Jr. and Timothy L. Farris II; two sisters, Bernice M. Growbarger and Gloria Muraira, and grandparents, William H. and Zora Pillow. She leaves behind to cherish her memory four children, Dennis (Debbie) Farris of Centertown, Jerry (Elaine) Farris of Beaver Dam, Shelia Farris of Echols, and Timothy (Vicky) Farris of Echols; thirteen grandchildren, Denise Farris, Jeremy (Brenda) Farris, Stacie Abbott Burgess, Dwayne Abbott, Krystal (David) Greene, Robin (Marco) Morin, Elaineia (Ronnie) Sailings, Ashley Abbott, Josh Hall, and Tyler Farris; twenty four great grandchildren and five great-great grandchildren; two brothers, Reynaldo Muraira of Arandas, Mexico and Antonio Galvan, Jr.; two sisters, Roberta Zavala of Plainfield, Illinois and Yolonda (Jeff) Sivak of Hobart, Indiana, and several nieces and nephews. Funeral services will be held at 2:00 PM Tuesday, April 9, 2019 at William L. Danks Funeral Home in Beaver Dam with Rev. Betty Shaver and Pastor Todd Claypoole officiating. Burial will follow in Echols Cemetery in Echols. Friends may visit with Ms. Farris’s family from 10:00 AM until the time of the service Tuesday at the funeral home. Online condolences may be left for the family of Ms. Shirley Farris by visiting her memorial page at www.danksfuneralhome.com.